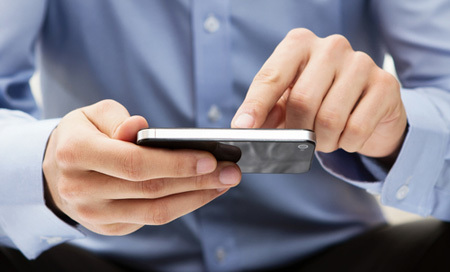 Small Businesses are the next big pit stops for mobile applications. It is but a natural outcome for small businesses that are looking for a feature rich system that is both scalable and has the capacity to offer tremendous functional efficiency. Businesses that do not have the immense financial backing of large organizations, but still want to remain competitive and succeed against the bigger players in the niche, need to be technologically astute. This gives them an added leverage to boost their prospects, and small businesses have always been at the forefront of any and every technological adoption. Of course, this adoption is not across the board and is limited to specific technology; but there is no doubt that it’s the use of technology that is making small businesses extremely competitive. Take a look around you; you will find most small businesses have adopted the best of web technology in the form of web based applications as a part of their business. That’s because these very cost effectively and conveniently help such businesses improve their productivity, efficiency and cut down on the overheads. More importantly, the use of such applications has helped them take care of their mission critical business tasks in an optimum manner resulting in better profitability and a competitive advantage, benefits that everybody wants. But the tide is now slowly but surely turning in favor of mobile technology. There is a perceptible shifting of allegiance from web enabled solutions to those that are mobility driven. The emergence of smartphones and their rapid adoption has meant that small businesses have yet another weapon that they can use to battle it out with their larger competitors. More and more small businesses are adopting the use of smartphones to take care of their business needs. This is because they are able to pick and choose from a whole range of mobile applications that are tailor made for small businesses. The success of any business, whether it’s small or big is entirely dependent on how well they are able to manage their functions and in mobile applications, small businesses have that friend, who is an effective manager. As we move towards 2013, we are seeing increasing instances of small business owners adopting the use of mobile applications to perform certain business functions. That’s because the use of mobile technology overall, brings to their business activities certain advantages other devices like for e.g. the computer might not be able to offer. Mobility: The first ‘in your face’ kind of advantage is mobility. Small businesses are adaptable and agile, and their owners are always on the go, and what they want is to access important information and make decisions on the move. This is a major advantage offered by mobile technology. Usability: It doesn’t take a tech expert to use a smartphone or operate a mobile application on it. 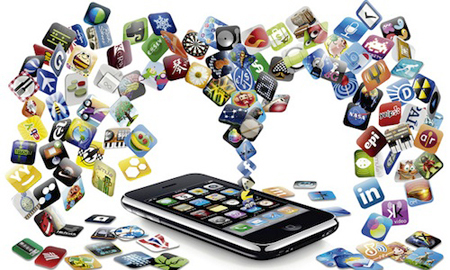 The fact is that mobile devices are easy to use, and most applications on it are configured for ease of use. This makes the performance of tasks quicker; in a fast paced world of business, speed is always of the essence. Cost Effective: Small businesses are always concerned about their overheads and are budget specific. The use of mobile technology allows them to operate within their budgetary considerations and at the same time optimize its use for business benefit. All things said and done about the benefits that mobile technology brings to the table, the question is of adoption in terms of business processes. The one big reason why small businesses are so taken with the use of mobile technology or let’s say want to harness the power of mobility is because of the various ways it can be used. – Applications can become an integral part of a small business’s branding strategy and drive its marketing campaign. – Utility driven applications allow mission critical business tasks to be accomplished faster and in a manner that is more efficient. – Mobile applications allow seamless communication between the office and people on the move for real time decision making. – There are plenty of business applications that allow small business owners to manage employees and their tasks through constant communication and project management. This is just a small cross section of the ways and means that mobile technology can be implemented in small businesses with the use of mobile technology. Mobile technology is in a constant state of flux and is going through a process of continuous evolution. What this means is that its scope for adoption is constantly increasing. The time is not far when all a small business owner would need to operate his business, is a smartphone and a custom developed mobile application on the same. What this means is that the adoption will continue and over time there is very little doubt that it will be THE factor that will play a role in determining the success or failure of small business.